Humorist Dave Barry may be a Pulitzer Prize-winning success when it comes to books and columns, but his forays into film so far have not been too memorable. Anybody remember Big Trouble back in 2002? It was based on a Dave Barry novel, sported a cast including Tim Allen, Rene Russo, Stanley Tucci, Tom Sizemore, Johnny Knoxville, and Dennis Farina. It took in something like $7 million at the box office (it cost $40 million to make, according to IMDb Pro). Even if you do remember Big Trouble, you've probably never even heard of Complete Guide to Guys, also based on a Barry book and released in 2005, apparently. Dave hasn't exactly cracked the movie biz wide open yet, is what I'm getting at. Nevertheless, Universal is betting on the Barry name one more time. 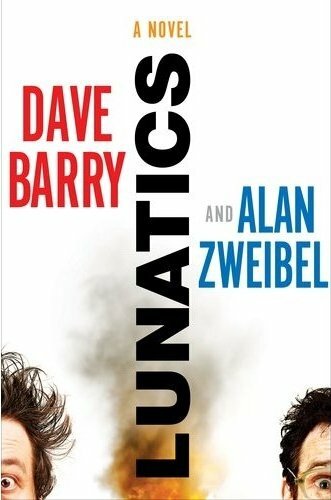 Deadline reports that Universal has scooped up the movie rights to Lunatics, co-written by Barry and Alan Zweibel, with Steve Carell set to star. Set to hit shelves on January 10th, Lunatics is about two average soccer dads who are both having a bad day. Their bad days collide, setting off an escalation that builds and builds until they are both running for their lives. According to the book's description on Amazon, before it's all over, the police will become involved, not to mention "soldiers, terrorists, subversives, bears, and a man dressed as Chuck E. Cheese." Carell will be playing one of the two men who set off this peculiar powder keg of events, a pet-shop owner who referees kids' soccer games on the weekends. Dave Barry and Alan Zweibel will adapt the book themselves. Let's hope things turn out better than Big Trouble.